Monthly Update April 2015 – First Half Year! 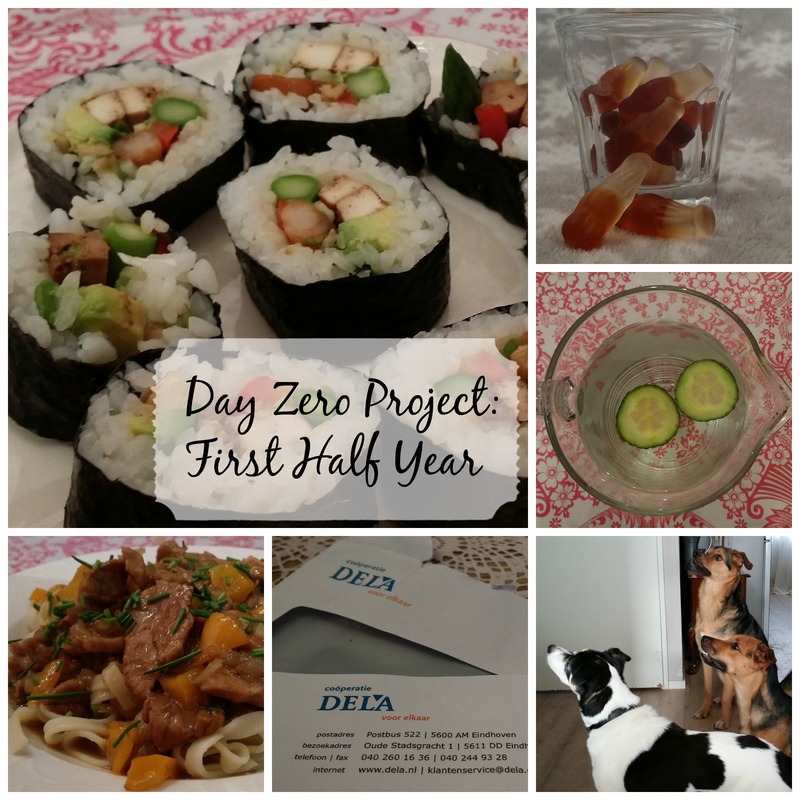 The first week of May is nearly over and I haven’t even blogged about my progress on my Day Zero Project in the month April! So it’s about time, don’t you think? It’s kind of a special update. Because it has been six months since I’ve started this project. Yes, half a year has past already! Who would have thought? I’ve seen a lot of blogs about this project where people ambitiously started their goals but slowly forgot about them once time passed. Because of this, I was a bit afraid the same might happen to me. But up until now, I’m as enthusiastic about it as I was in the very beginning. The goals are always in the front of my mind. So let’s see how far I’ve come in half a year! At the end of every month I always scroll through my 101 in 1001 list, to make very sure I won’t forget about any goals in my monthly update. Just now, I literally read my list over twice, because I was sure I had made a mistake somewhere. A had come to the conclusion that I only achieved one goal last month. That couldn’t be right! I did so many things! I have been busy with my goals every day! Surely I must have accomplished more goals than just the one? But reading the list over and over again didn’t changed the facts. I hadn’t made a mistake. I really have accomplished one goal only. It seems like I’m progressing really slowly, since the past few months I also accomplished just one or two goals per month. By continuing in this pace I won’t be half done with my list once the 1001 days are over. Or will I? The statistics are not as simple as they may seem. I have put a lot of long-term goals on my list. And I am working on a lot of these at the same time! In a few months, I’ll probably cross of my goals as fast as a domino track. I loved this goal! I have always enjoyed cooking very much, but since I got chronically fatigued, I had let to hobby slip. I didn’t know how to combine my lack of energy with cooking creative meals. But now I do! As long as I am planning these cooking activities in advance and make sure I really take my time to calmy chop and prepare everything, I’m perfectly fine. It will take me longer than normal, healthy people, but who cares, really? I’ve got my hobby back! Last month, I cooked Cheese Soup, Cinnamon Drumsticks with Couscous and Mango Shrimp Curry. All the twelve (!) recipes I have made the last couple of months using ten different cookbooks, are summarized here. I saw two theater performances last month. The first one was the musical Maria Magdalena, which I was very ecstatic about. The second one was also a beautiful play, a solo performance even: Zo Nodig. I’m so glad I am now sitting in the audience again, instead of always being on stage myself. It’s so nice to enjoy all these different plays. I already planned my next two performances as well. 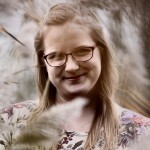 In May I will go to MAC and As You Like It by theater group Gras. 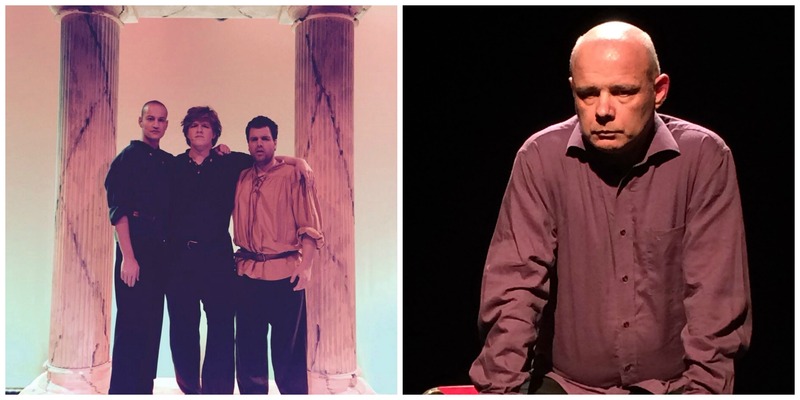 I will perform in Othello, which is produced by the same theater group. So I’m really curious to find out how the other two productions have turned out! I’ve started this goal so many times in the past few months, but every time I failed. Fruit just wasn’t in my system yet. But now it is and I succeeded in completing my first month! After this, I forgot eating enough fruit again sometimes, but from May 2, I’m officially back on track again. See, that’s why I split up this goal in three parts! I completed my second month of abstaining from unhealthy snacks! Yay! This is a huge achievement for me, since I was a true food addict and a terrible binge eater. Therefor this is one of my most difficult goals. Yet I am at 2/3 of reaching it! Today I started my third month, which means that I will most probably accomplish this complete goal in the beginning of June. Suddenly I understand my confusion in the beginning of this article though. The progress on both the fruit goal and the snack abstinence goal felt as such accomplishments, that I really thought I had achieved entire goals! Goal nr. 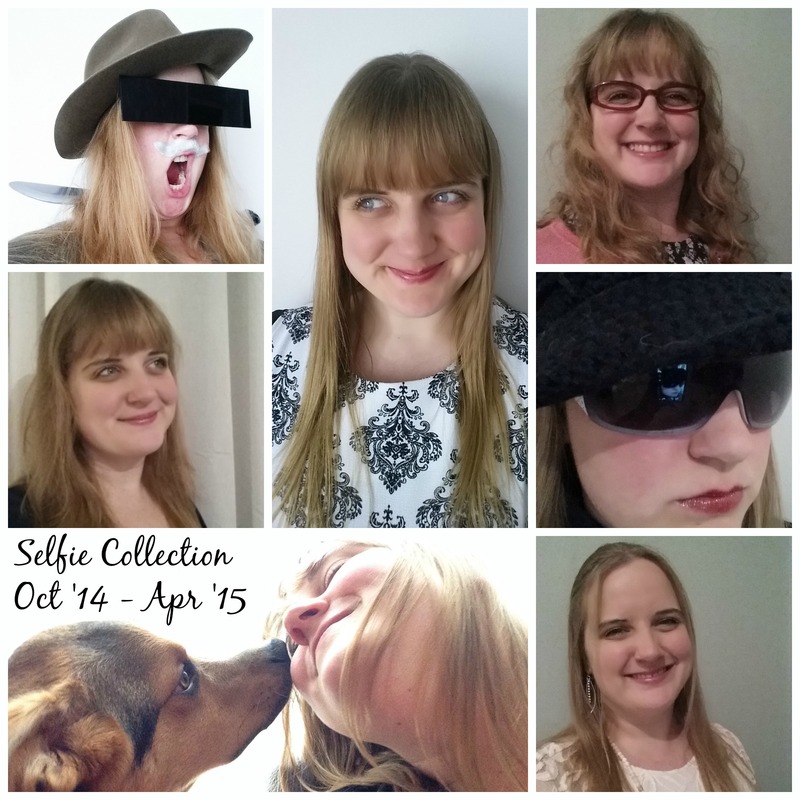 36 – Take a selfie every month. My healthier lifestyle and the loss of weight is really starting to show now, especially in my face. That’s why I am particularly satisfied with the selfies I took this month. Yes, multiple ones! If this fondness of myself keeps growing the way it does, I might ask myself to marry me at the end of this project. It’s turning out to become a nice collection, don’t you think? Nr. 35 – Own either the diary ‘One Line a Day’ or ‘Q&A a Day: a 5 Year Journal’ and write in it every day. I still haven’t missed a day of writing in my Q&A journal. It’s so much fun! 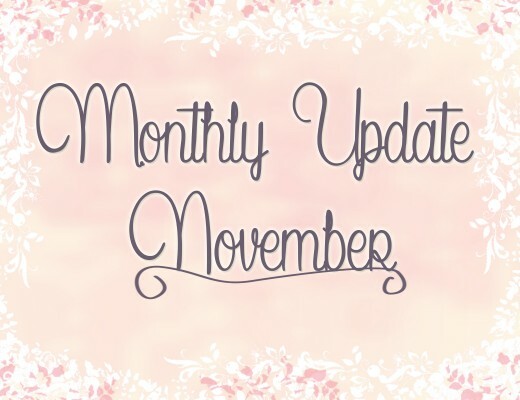 Last month has been such a busy month, that blogging about my goals hasn’t been my top priority at all times (sorry guys). I’ll change for the better, I promise. Especially once the play I’ve written (Bedtime Stories) has been performed, I will have so much more time! But for now, let’s have quick look at the things I’ve done regarding my goals. I started creating a Spotify list of songs I love to sing along with. So far I’ve collected 74 songs. That means I’ve got 27 more songs to go. I only read one novel: Ik Ook Van Jou by Ronald Giphart. I’m reading a bit slower than the months before, because I really miss Harry Potter! 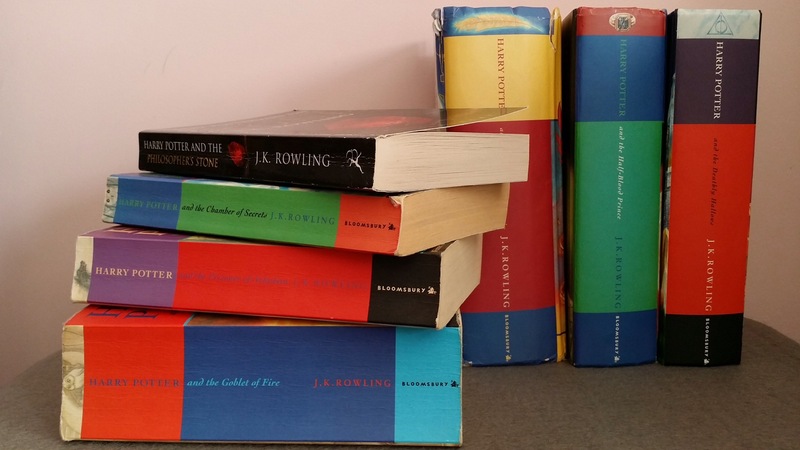 So if you have a suggestion of a book (or series of books) that will fill my Harry Potter gap, please let me know! I’ve photographed a couple of letters of the alphabet. Okay, this just sounds funny standing there like that. In short, it means I have photographed objects that weren’t meant to be letters, but look like them anyway. I participated in my first writing contest! I finally started playing the piano again. I found someone who’s willing to teach me how to play the guitar. Yay! I asked someone to help me create my company website. We had our first meeting last week. I’m really glad I took this important step towards building my own company! I started writing down stuff I like about myself. Yikes! I will go into further details of these things soon. I hope I will be able to cover all the subjects above, because of course I will also continue with progressing on my other goals. We’ll see how fast I can catch up. Most important thing is I’ve done a lot! Nr. 44 – Don’t drink soda for two weeks in a row. Nr. 45 – Drink a jug of water every day for a month. Nr. 60 – Get a funeral insurance. Nr. 99 – Practice loose leash walking each day for a month, by taking seperate walks with each dog. Hmm, I guess I love cooking! Eight goals in six months may not seem so much, but let’s not forget about all the goals currently in progress. I’m working on… wait for it… 25 goals at the moment! That’s a quarter, guys! I won’t bore you with a summary of all of these in this article. If you’d like to know which goals are in progress, just take a look at my list and search for the pink ones. I have enjoyed this first half year very much. I can’t wait for the next one! Thank you! Time flies, right? I also cannot believe I am actually doing these goals for the past 8 months now! It’s good to set some monthly goals I guess. It’s easy to get overwhelmed in all these goals. 101 is a lot. Good luck with yours!